The NFL has a clearly defined roster limit for players, but there is no such limit for coaches. Teams are free to employ as many or as few coaches as they please, and the numbers can vary from team to team. When the Patriots meet the Bills, for instance, New England coaches will be outnumbered by Buffalo coaches 2-to-1. The 2018 Bills coaching staff is the biggest, with 28. The Patriots’ staff is the smallest at 14. The Patriots have dominated the Bills since Bill Belichick became head coach in 2000, but don’t use that as a referendum on staff size. New England is coming off a Super Bowl LII loss to the Philadelphia Eagles, who have the third-largest staff at 26. • In 2013, two teams had as many as 24 coaches on staff. In 2018, 11 teams have at least 24 coaches, including five that have more than 24. • In 2013, seven teams had fewer than 20 coaches. In 2018, only three teams have fewer than 20. And it’s worth noting that the three smallest staffs in the NFL belong to the Patriots (14), Steelers (17) and Ravens (19). The common thread: sustained success and coaching stability. 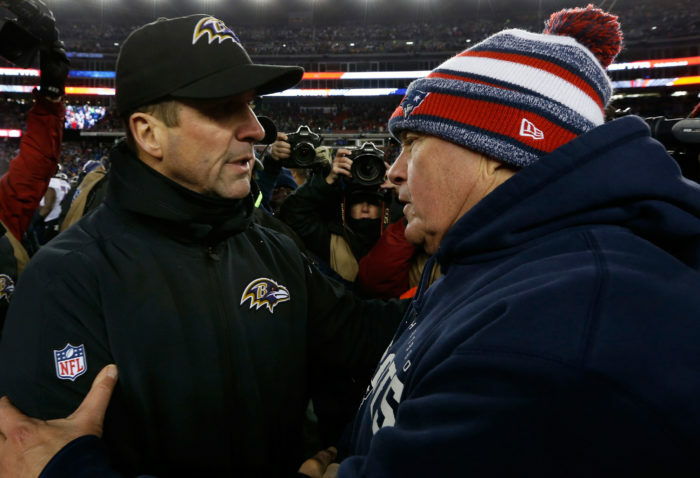 Belichick, Mike Tomlin and John Harbaugh are three of the six head coaches that have been with their current teams for at least 10 years. 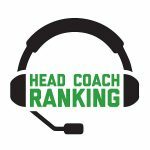 When you add the other three coaches who have been with their team at least 10 years – the Bengals’ Marvin Lewis, Packers’ Mike McCarthy and Saints’ Sean Payton — those six teams have an average staff of 19.7. On the other hand, six of last year’s 12 playoff teams had at least 24 coaches. One of those playoff teams was the Los Angeles Rams. Then-rookie head coach Sean McVay presided over a staff of 24 coaches. The seven teams that have new head coaches in 2018 have an average staff size of 22.4, a hair above the league average. The only new head coach with previous head coaching experience is Oakland’s Jon Gruden, who has the biggest first-year staff (25). But that’s not surprising – in Gruden’s last year as a head coach, 2008 with Tampa Bay, he had a staff of 21. • The Chiefs have a Statistical Analysis Coordinator and Sports Science/Conditioning coach. • In addition to two strength and conditioning coaches, the Giants have a Director of Performance Nutrition and a Performance Manager. • The Raiders have a strength and conditioning coordinator – with not one but four strength and conditioning assistants. • The 49ers have a “seasonal offensive assistant.” They do not, however, have a seasonal defensive assistant.